Brighten up your lazy summer days with Yellow Cab Pizza’s 2 for P499 Delivery Promo. Summer season doesn’t get better than pizza parties that will surely warm the hearts and tummy of the whole family. 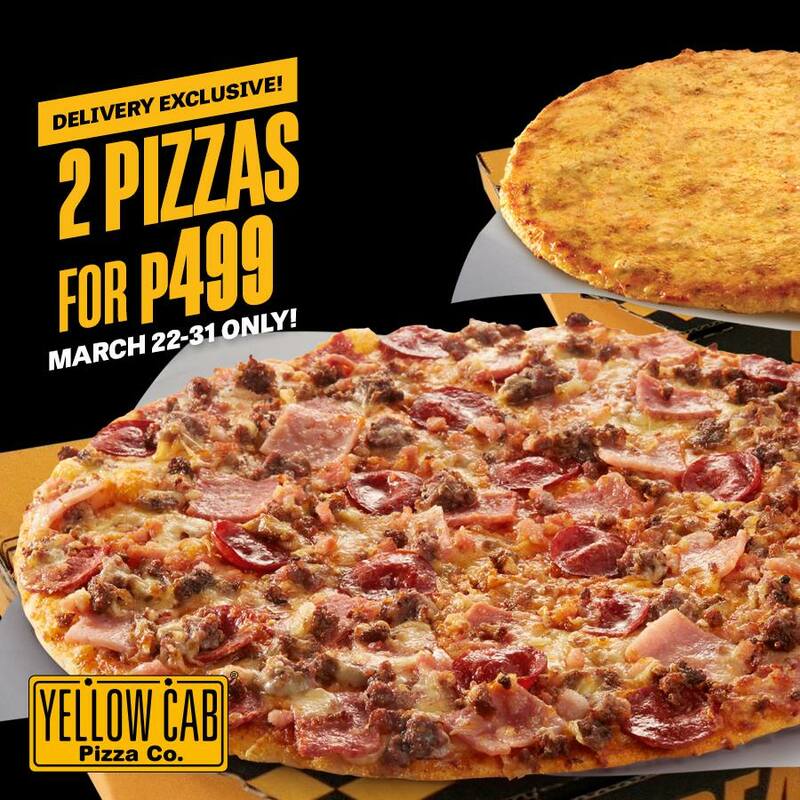 Loaded with fresh taste sensation of mouth-watering and savory New York flavor twists, Yellow Cab Pizza’s 2 for P499 Delivery Promo is offering two (2) large pizzas enough to satisfy your cravings for the whole day. Entice your taste buds with 10” Manhattan Meatlovers Pizza and 10” Cheese Pizza for only P499. The promo is available in ALL Yellow Cab Pizza delivery stores in Metro Manila only. Nothing makes us happier than a feast to tuck into and fuel up our appetites. So, order online at delivery.yellowcabpizza.com or call 789-9999 to have this delightful delivery deal sent to your doorstep. The promo is available from March 22 to March 31, 2019 and valid for delivery transactions only. Visit their official Facebook Page for more information and update.